This forthcoming exhibition explores the conflicting notions of fragility and strength, damage and repair, concealment and revelation, using a variety of materials and techniques to stretch the boundaries of traditional painting and drawing and go beyond the flat application of colour. 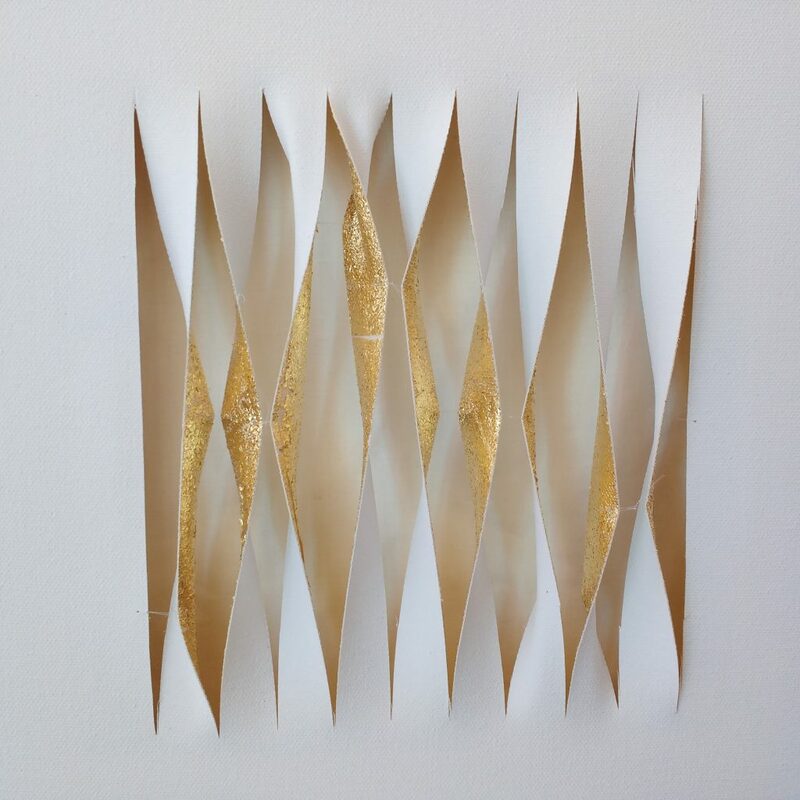 The work employs a limited palette, embracing the original white surface of a blank canvas or sheet of paper, which may be cut, folded or stitched as well as painted or drawn upon. Gold leaf and gold thread have been used to illuminate the artist’s interventions; a reference to the Japanese art of kintsugi, where broken pots are repaired with gold, becoming more precious in the process. These delicate, ethereal artworks invite contemplation and consideration, relating to both personal and shared experiences. The exhibition will commence with a drop-in opening event on Saturday 19th January between 1 and 4pm, free refreshments will be provided. The gallery will then be open Monday 20th to Friday 25th, 11am til 4pm.